SYRACUSE ATHLETICS - The Syracuse Orange are College Hockey America Champions for the first time in program history. 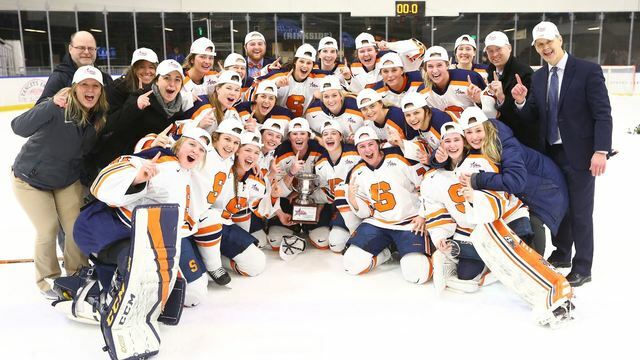 Syracuse (13-21-3) dominated the CHA title game earning a 6-2 in over No. 1 seed Robert Morris to clinch a bid to the NCAA Tournament for the first time in school history. The Orange have played in six conference championship games previously, but never got over the hump to reach the NCAA Tournament. Six different Orange scored in the win, while Syracuse goalkeeper Ady Cohen made 26 saves. Is the Interstate 81 viaduct safe to drive on now?